Five years on and it seems like a distant dream. 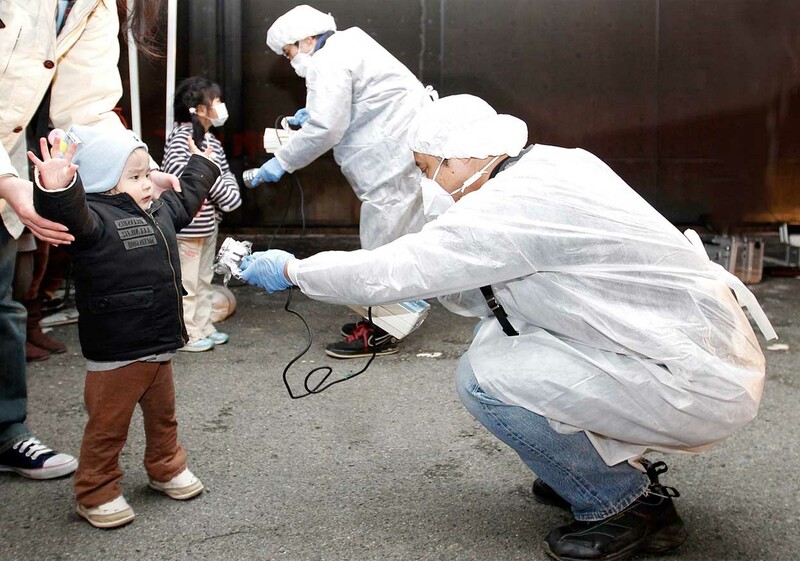 Though March 11, 2011 is a day Japanese people will remember all their lives, the rests of humanity has moved on and atomic energy is en vogue again. 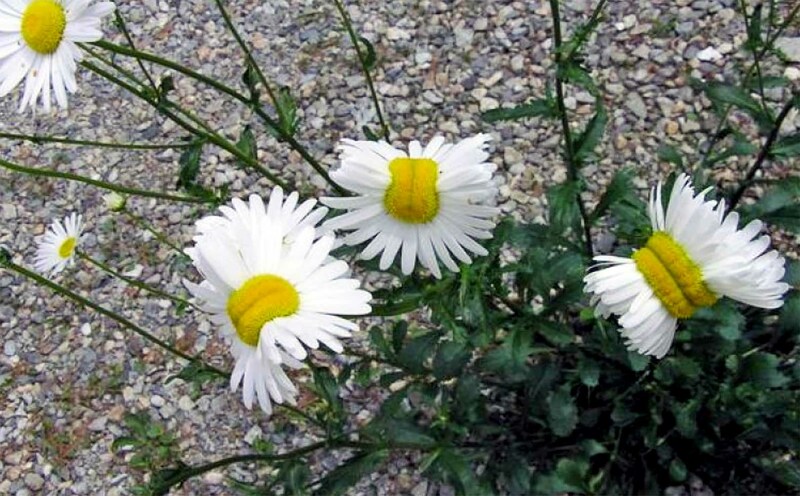 Fukushima has become an object lesson of collective amnesia. 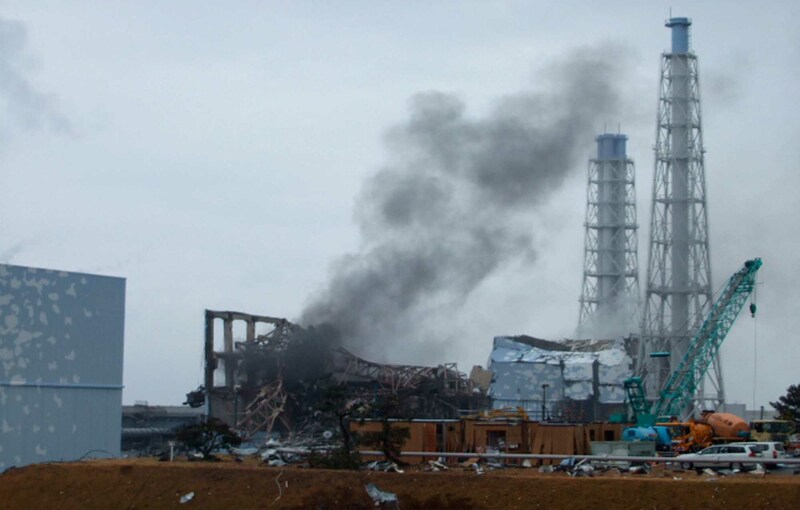 Who did say that the reactor meltdowns at Fukushima Daiichi were a wake-up call? It was maybe a wake-up call and a worry for a couple of tree huggers but not for the mainstream media consumer and for sure not for the pundits and planners, the decision makers and power brokers of the moneyed elite (working behind the curtain) and their puppets (the politicians in front of the curtain). The planners continued planning new plants, the power brokers continued to cut deals, the puppets kept a low profile and didn’t mention nuclear energy for half a year. The propagandists didn’t even have to increase the amount of bribes because mainstream media is owned and tightly controlled by the ruling class and every journalist who wants to have some kind of a career knows very well what he or she has to write and which issues have to be avoided. 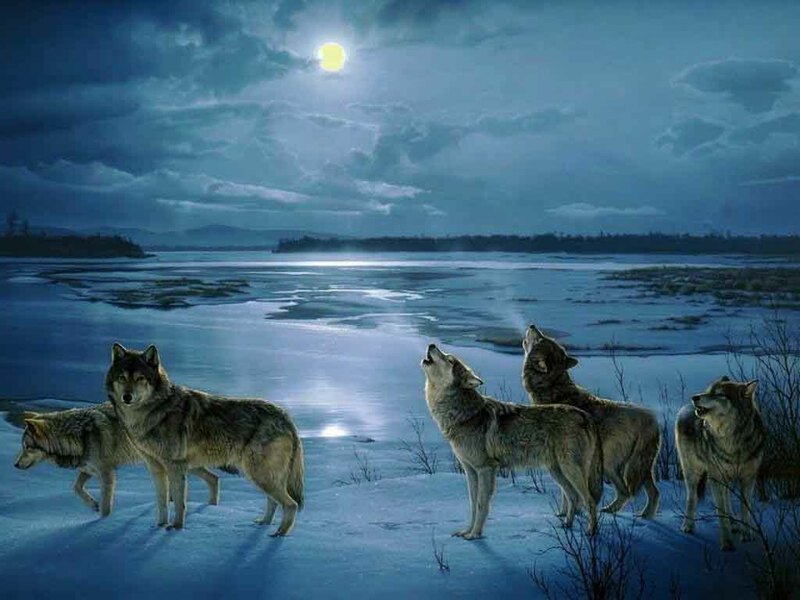 All appeals, petitions, protests, sit-ins, occupations, accompanied by thousands of inspirational, well-meant and heartfelt articles in alternative media and the blogosphere, as well as millions of bold, defiant, rebellious Twitter and Facebook messages were as consequential as a wolf packs concerted howling to the moon. This is a never ending story of a never ending disaster. This is a nightmare, a bad dream from which humans will not wake up. No, we will not wake up one morning to find out that suddenly there are no radioactive contaminated forests, fields, towns, no “hot spots” which one has to avoid, no mountains of radioactive waste which have to be secured and guarded for millenia. 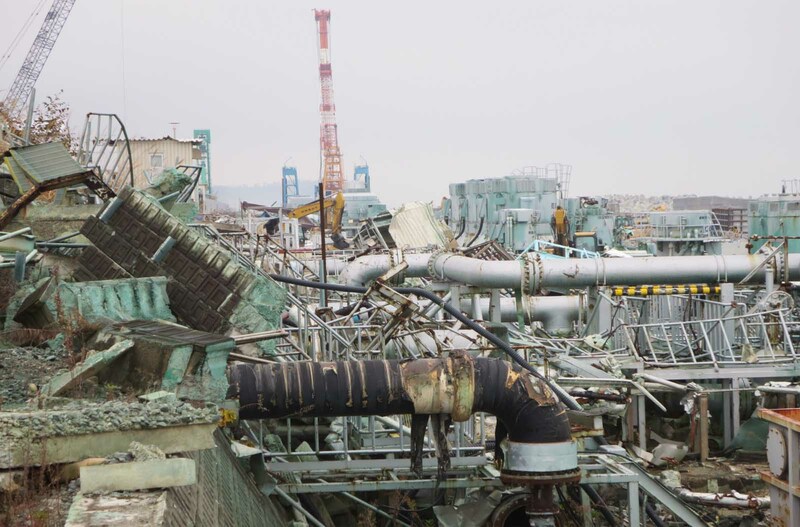 Five years after a magnitude nine earthquake triggered a giant tsunami and caused a triple meltdown at Fukushima, the plant has been transformed from a disaster scene into a sprawling building site. At the moment 7,200 workers are occupied with the cleanup. In 2014, hundreds of spent fuel rods could be removed from a storage pool inside the damaged reactor 4 building, but in reactors 2 and 3 the radioactive fuel rods are still there, and the removal of the melted fuel in the destroyed reactors has not yet begun, apart from the fact that nobody knows how to do it. In reactor 1 the fuel may have burned through the pressure vessel and fallen to the bottom of the containment vessel and into the concrete pedestal below — perhaps even outside it. Reactors 2 and 3 are thought to have suffered partial meltdowns. Nobody knows where exactly the fuel is, because no human can enter these areas, and two robots specially built to negotiate debris inside damaged tunnels and pipes were knocked out by the extremely high radiation. The clean-up efforts have cost Japan already 21 billion US$, with the final bill predicted to top 110 billion US$. Some experts speak of 200 billion US$. It is unclear, where the fuel and other highly radioactive debris will end up, if it ever is removed, because Japan has no permanent repository for nuclear waste. The experts of TEPCO, the utility who owns Fukushima, estimate that it will take 40 years to clean up the reactors. Fuel removal will not begin before 2021, though even this late date is doubted by outside experts. Looking at the optimistic predictions it appears that the government’s and industry’s clean up work and the detailed decommissioning plans try to give the impression that things are retuning to normal in order to weaken public opposition against a restart of Japan’s nuclear reactors. There are suggestions that the melted fuel should be left where it is, yet, the fuels stability is wholly dependent on water constantly being pumped into the reactor basements to prevent the fuel inside from heating up and restart fission. The method works, but only some of the water can be partly decontaminated, cooled and recirculated into the reactors, most of the contaminated water (300 cubic meters per day) has to be pumped out and stored in over 1,000 huge tanks with a combined storage capacity of 850,000 tons. 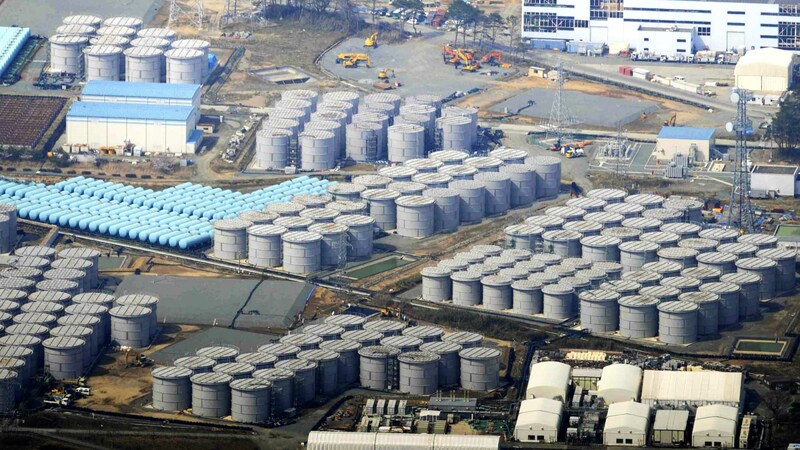 These tanks are covering now nearly all remaining open areas of the Fukushima plant. 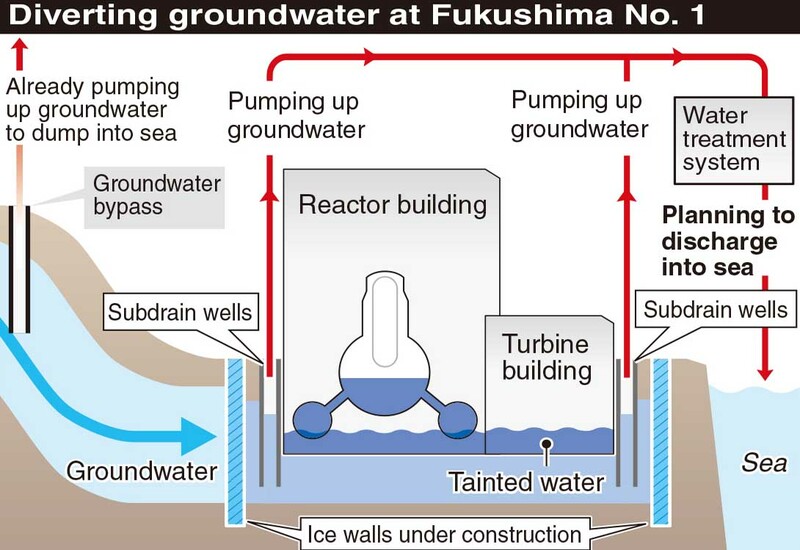 There are also large amounts of ground water flowing in and mixing with the radioactive cooling water, and though the groundwater infiltration has been cut by two-third to 150 cubic meters per day by pumping out groundwater upstream and directing it to the ocean, this still constitutes a major problem. As the tanks are nearly full, additional tanks are built to increase the capacity to one million tons. The (arguably) world’s most sophisticated purification systems attempts to reduce the volume but is hampered by technical problems. TEPCO tries to get permission for releasing water into the sea after it has been treated to remove the most radioactive elements, but until now is facing stiff resistance from both regulators and the public, because tritium concentrations in the water still remain many times higher than the drinking water level prescribed by the World Health Organization. Especially fishery cooperatives are fighting to the death against a release into the ocean. Tritium, a radioactive form of hydrogen, cannot be removed by any purification process and it is a well kept secret of the nuclear industry that all reactors release some amounts of tritium. The Japanese government is evaluating experimental technology to separate tritium, but experts at the IAEA (International Atomic Energy Agency) in Vienna and Japan’s Nuclear Regulation Authority say that this is impossible. Strontium-90 apparently is also not completely filtered out and in February TEPCO reported a spike in strontium levels at the plant site — likely caused by a tank leak. Strontium levels in seawater near the plant are not declining according to private probes, TEPCO has not reported strontium data since 2013. 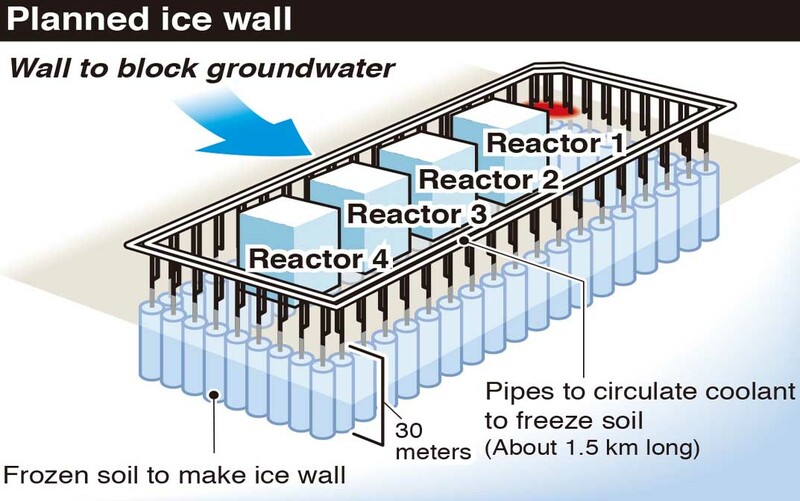 Since three years TEPCO intends to create a wall of frozen soil around the reactor buildings, but this project has been repeatedly delayed due to safety concerns. Despite barriers, hundreds of pumps, a gigantic pipe network, and 1,000 storage tanks, unknown amounts of radioactive water still continues to leak into the ocean, and a series of massive die-offs of marine animals, especially sea lions, is feared to have been be caused by radiation. A study in 2011 found widespread cesium contamination of zooplankton and small fish up to 600 kilometers off the Japanese coast, another study documented the absence of rock shell snails in a 30-kilometer stretch of coastline near Fukushima. Cesium-134 and cesium-137 are soluble in seawater, so it is easily taken up and dispersed by ocean currents around the world. There still is cesium-137 in the oceans from nuclear tests conducted 60 years ago. The radiation from Fukushima is showing up now on American shores and though the levels are quite low, they are constantly increasing. For marine animals who are on top of the food chain and accumulate radiation in their bodies a thousand and more times higher that the sea water this could be unhealthy and even deadly. An area of 12.5 kilometers around the nuclear plant remains an exclusion zone, more than 1,100 square kilometers of villages, mountains, and forests are uninhabitable for generations to come. The nuclear catastrophe forced 160,000 people to flee their homes and 80,000 of them are still displaced, hoping to return one day. Their former hometowns have been turned into temporary dumping grounds for more than 10 million black plastic bags at 115,000 locations, containing 9,000,000 cubic meters of soil and other low level radioactive waste cleared from areas around homes, schools and other public buildings. Another 13,000,000 cubic meters of radioactive soil has yet to be gathered. 800 bags got carried off by typhoon Etau last year and had to be painstakingly recollected from up to 100 kilometers away. Hundreds of bags were never found again. 26,000 workers are involved in the cleanup, and the goal is to reduce outdoor radiation exposure to one millisievert a year, a target which experts criticize as unrealistic. Last year the Japanese government announced that it will eventually lift evacuation orders for regions where a person would receive an annual radiation dose of not more than 20 millisievert, though this level is several times higher than what the International Commission on Radiological Protection recommends for safety. Radiation is carcinogenic, though the body has repair mechanisms to handle damage. It is not known how many people are suffering or have died from radiation-caused cancer diseases, but individual and collective lawsuits brought against TEPCO keep appearing in the news. This includes a 2014 class action filed by dozens of US Navy members from the USS Ronald Reagan, who took part in a cleanup effort near Fukushima in the aftermath of the tsunami, but were never warned of the radiation levels there. Several hundred sailors have since had fallen ill with various forms of cancer, including leukemia, thyroid cancer, and testicular cancer, while some had to have their organs removed or bore babies with unexpected birth defects. A 2013 study published in Energy and Environmental Science estimated roughly 1,000 future cancer deaths from radioactive cesium, too few to be distinguished from those caused by other factors. Last year, however, an ultrasound screening program of around 300,000 children who had been living in the affected area revealed 110 thyroid cancers — a 30-fold increase from the norm. Other scientific studies documented sharp reductions in abundance and diversity of birds — especially reduced fertility in barn swallows, genetic damages in worms and butterflies, and growth defects of fir trees in areas of high contamination. The Fukushima accident brought about the closure of all 44 Japanese nuclear reactors, until then responsible for producing nearly a third of Japan’s energy output. Because of Japan’s reliance on foreign energy sources, mainly expensive and polluting fossil fuels, Prime Minister Shinzo Abe tries to restore the country’s nuclear industry, despite opposition from over two-thirds of the Japanese population. “Our resource-poor country cannot do without nuclear power to secure the stability of energy supply while considering what makes economic sense and the issue of climate change,” Abe said a few days ago. However, the Otsu district court ordered the shutdown of two of the four Takahama reactors that have re-opened in the past year, claiming they had not made sufficient progress in carrying out security upgrades. Twenty-five more reactors have pending applications to start up again, but most are unlikely to receive permits anytime soon. With 436 nuclear power plants operating in 31 countries, many of them on coastlines and in countries with far weaker safety standards than Japan’s, another similar calamity is not inconceivable. Yet, despite the undeniable dangers, 67 new reactors are under construction in 14 countries. It seems that Three Mile Island, Chernobyl, and Fukushima were not sufficient to exemplify the perils of nuclear technology, and that another two or three nuclear meltdowns will be needed to change the minds of politicians, financiers, industry bosses, and nuclear experts. The IAEA tries to promote nuclear energy as an answer to global warming. It has estimated that nuclear capacity needs to reach 660 GWe in 2030 and more than 900 GWe by 2050 to help keep the rise of global temperatures within 2 degrees Celsius this century, a threshold scientists say should avoid the worst effects of climate change. However, this would require the investment of 81 billion US$ a year in new nuclear plants from 2014 to 2040. The same investment in energy efficiency and renewable energy would have better results while creating employment for multiple times more people than would be needed for building work on plant sites. 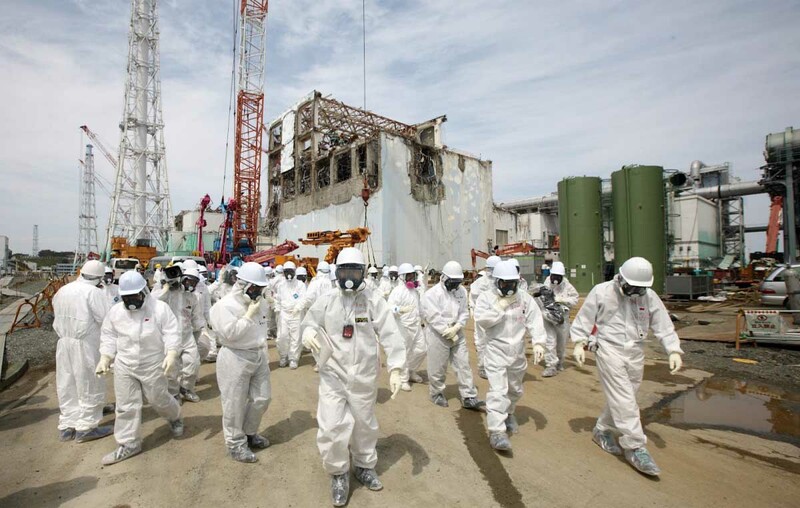 Of course, cleanup work after the next nuclear catastrophe would create even more jobs. If job creation is the paramount motive, go ahead. China has 22 reactors in operation and another 26 under construction. China halted the approval of new reactors after Fukushima in order to review its safety standards, but gave the go-ahead in March 2015 for two further units, part of an attempt to surpass Japan’s nuclear-generating capacity by 2020 and become the world’s biggest user of nuclear power a decade later. The new reactors are mainly Westinghouse AP1000, but there are also two Rosatom VVER-1000/428 in the mix. The USA recently announced plans to renew a nuclear cooperation deal with Beijing that would allow to buy more US-designed reactors and potentially pursue the technology to reprocess plutonium from spent fuel. In the USA 99 reactors make up about 20 percent of electricity production and four new Westinghouse AP1000 reactors are built at Vogtle and Summer, though the proposed Yucca Mountain nuclear waste repository is still stalled. One Westinghouse plant is constructed in Bulgaria, in Britain 3 AP1000s at Moorside near the Sellafield nuclear reprocessing plant are planned. In the United Arab Emirates, three reactors are built by South Korea, a fourth one is planned. In Russia, six reactors are under active construction, one being a large fast neutron reactor. About 30 further reactors are planned, some to replace existing plants. A small floating nuclear power plant is expected to be completed this year and other similar plants are planned to follow. Rosatom plans the serial production of these floating plants at shipbuilding facilities and then tow them to the destination point in coastal waters near a city or factory where large amounts of electricity are needed. Each vessel has two modified KLT-40 naval propulsion reactors together providing up to 70 MW of electricity or 300 MW of heat, enough for a city with a population of 200,000 people. Russia has experience with contaminating oceans. While radioactive water from Fukushima contaminates the northern Pacific Ocean, Soviet era nuclear waste poses a threat to the Arctic Ocean. There are 17,000 containers of nuclear waste, 19 rusting Soviet nuclear ships and 14 nuclear reactors cut out of atomic vessels at the bottom of the Kara Sea. 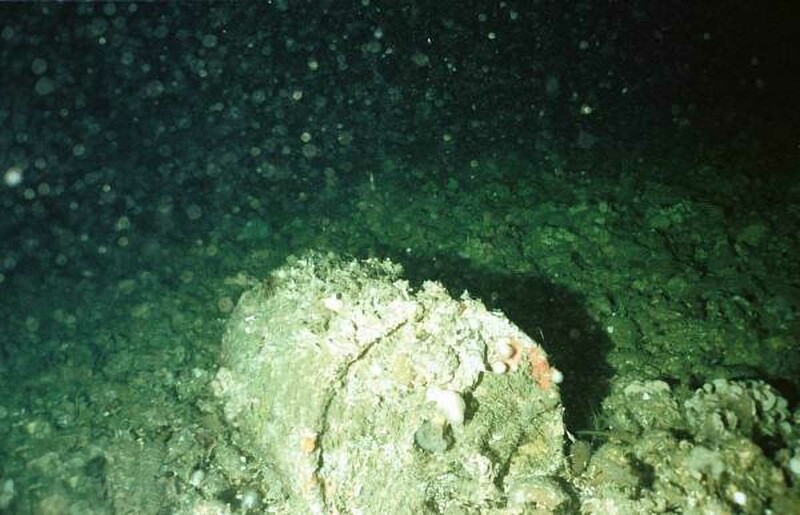 Some of the containers already show signs of leakage, but the threat posed by these small objects pales in comparison with the spent reactor fuel housed in the rusting carcasses of Soviet-era nuclear submarines and a number of individual reactor compartments torn from their original vessels and dropped in the ocean. In 2014 a partnership agreement with Iran, guaranteed by the IAEA, was signed in Moscow. Russia will build eight pressurized water reactors “turn-key ready,” four of them at the Bushehr Nuclear Power Plant. Nuclear fuel for these reactors will be provided by Russia during the whole life cycle of the reactors and spent fuel will be returned for processing and storage. Russian President Vladimir Putin makes every foreign visit a promotion tour for Rosatom’s reactors. When he visited Egypt in February last year, a contract for a total of four nuclear reactors with 1200 MW each was signed. Another contract was signed with Argentina during a visit to Latin America. India has 21 reactors in operation and six under construction. This includes two Russian VVER-1000 reactors and a large prototype fast breeder reactor as part of its strategy to develop a fuel cycle which can utilize thorium. Over 20 further units are planned. Belarus is building two Russian VVER-1200 reactors at Ostrovets and Hungary builds two VVER-1200 at the existing Paks power plant. Vietnam and Bangladesh have each one Russian VVER-1000 under construction. In Finland, Rosatom has started preliminary work on a planned site. Turkey has contracts signed for four Russian VVER-1200 reactors, but after the dispute about Syria and the downing of a Russian SU-24 it is unclear if the projects will go ahead. Do we have to prepare for the worst, stockpiling food, iodine tablets, disposable overalls and other one-way protective cloth? Shall we look for escape routes to areas far away from nuclear power plants? Shall we ignore this danger like we have to ignore many other mortal dangers to our life? Is cynicism, is satire appropriate? Any issue which constitutes an existential threat to life on earth should not be trivialized or joked about, but watching how climate change, poisoning of the biosphere, mass extinction, resource scarcities, and resource wars are belittled, trivialized, and even commercially exploited, I could not help but to envision how further nuclear accidents will inevitably inspire con men, swindlers, quacks, startup ventures, unicorn’s, and the like. We live in exiting times and we live in a constant changing environment. This means that new business opportunities emerge every day for the truly creative and innovative entrepreneur who is on top of the game and who is able to take the chances as they come. Things are changing at an accelerating pace and only the ones who are alert and always on guard will succeed, the procrastinators will lose out. Setting up factories in Antarctica or at alpine glaciers to harvest radioactivity free water for food and beverage companies. Developing Geiger counter add-ons for smartphones and tablets, special edition cell phones with integrated Geiger counters, and USB-Geiger counters for universal use with laptops. Offering decontamination toolsets and Geiger kits for electronic hobbyists in hardware stores. Launching an entertainment channel under the motto: “Better Radioactive Than Radiopassive”. Starting a hard rock band “Smashing Atoms” and introducing a new music style “Radioactive Metal”. The Unit-1 of the the Kakrapar nuclear power plant in India’s Gujarat state underwent an accident March 11, in the morning at 9.00 am. The operator of the nuclear plant, the government-owned NPCIL (Nuclear Power Corporation of India Limited), has declared an on-site emergency even as it has said there is no release or radioactivity in the accident. The NPCIL has said the leak happened in the Primary Heat Transport System. The NDTV news report has called it a major heavy water leak. India’s nuclear regulator, the AERB (Atomic Energy Regulatory Board) has also issued a statement saying there has been no “abnormal release of radioactivity outside the plant or radiation exposure” as a result of the incident. Speaking to DiaNuke.org, the former chief of the AERB Dr. A Gopalakrishnan said, that complete facts regarding the situation are yet to become public, particularly regarding the assurance that there is no radioactive release as the leak happened in the primary cooling loop. The NPCIL has declared an emergency even as it says that all safety systems are working fine and there is an automatic shut down. Even after an automatic shut down, the residual heat in the nuclear plants remains high for a long time. The same reactor had a major accident in 1994 when floodwaters drowned Kakrapar. The floodgates meant to release excess water could not be opened and the water kept increasing –which could lead to a major accident — but it was prevented with the efforts of local engineers. Mr. Manoj Mishra, a worker in the power station then who blew whistle on that accident was terminated by the NPCIL. He was denied justice even by the Supreme Court in India which bought the NPCIL’s argument that he cannot be a whistle-blower as he did not have technical degrees. Mr. Mishra had years of experience in the reactor and he was a strong leader of the workers’ union. Kakrapar is situated not very far from the Vansda-Bharuch earthquake fault line running through Gujarat, which has experienced several major earthquakes. Heavy water leaks are not new for the Indian reactors. Indian nuclear plants use heavy water as coolant and there have been leaks in most plants in India. As the eminent nuclear physicist in Princeton University Dr. M V Ramana suggests, over a period of time, the heavy water becomes radioactive because some of the heavy hydrogen absorbs neutrons to become tritium.